For people who do not track multiple expat forums from around Mexico, there are some real-world updates that are worth noting regarding both ~ taxes on Mexican sourced income~ and on “tourist” visas. Example: An acquaintance who has spent the few past winters in Yucatan as a snow bird, reports that he was unable to get a 180-day visa in Mexico City this time. 3. We must report that income from Mexico & pay taxes on it. This report describes the increase in several trends of the Mexican Government no longer tolerating foreigners breaking Mexican laws. 1. As Mexico’s INM, SAT / Hacinda / Aduana agencies gradually get all their local office computers connected to national databases, individual government agents (including clerks) can now pull up our personal records of past entrances & exits from Mexico and our past import/export & income generating activities, including violations of Mexican law. 2. The report (and many other similar recent internet reports by expats & ‘tourists’) pretty clearly shows that some INM airport offices now are more closely scrutinizing foreigners trying to get 180 Day “tourist” Visitante visas when flying-into Mexico. 3. INM no longer presumes that foreigners are somehow entitled to automatically stay up to 6 months on a “tourist” Visitante visa simply because they exited & then returned to Mexico. 4. We can no longer assume that INM & SAT/Hacienda will not track down income foreigners get from lucrative activities in Mexico. This includes operating rentals or even managing rentals, pet sitting, house sitting, etc. 5. People who intend to earn Mexican sourced income need to get visas that allow working in Mexico: Visitante con Permiso de Trabajo … Residente Temporal with permission to participate in lucrative activities (like working or earning rental income) … and Residente Permanente visas. These visas must be applied for outside Mexico at your local Mexican Consulate … and yes, some Consulates (like Laredo, San Antonio, Chicago, Portland & Phoenix) are far more friendly~lenient in granting these visas than the Mexican Consulates in California, Houston, Boston, et al. 6. Foreigners who get visas that allow them to work must also register their work with SAT / Hacienda, reporting income using their RFCs. Note that the RFC’s generated by Mexican banks are generally not valid for use for reporting & paying taxes on Mexican sourced income. ways that too many gringos act. Mexico has a solid shot at having a healthy economy & good society, but that means people ~including visitors/guests~ stop cheating & instead pull their weight. Incremental changes can be the way. Totally agree. I am more than sick of the entitled “Americans” who come down here and think they are above the law, culture, and customs of Mexico…which is exactly why I left the US to move and live here. Amen. The US dropped the ball on this long ago which has contributed to the myriad of problems there. In your blog post you mentioned San Antonio being known as being easier to deal with regarding visa applications. What is your basis for this statement? Not wanting to be argumentative, just wanting some more background information before I plan a trip to San Antonio to apply for a permanent visa. Tried contacting the consulate in Dallas but got no response. Any additional information you can provide is greatly appreciated. Thanks! Americans who have used the Mexican Consulate in San Antonio have reported that the office was helpful, followed SRE’s published immigration law, and that they accept any proven monthly deposit income for qualifying for either RP or RT visas. Boston & California Consulates frequently add special local extra (difficult to meet) requirements that do not exist in Mex. Gob. law as published in the D.O.F. Sad that you even have to post this. I am disgusted by how many Americans just drive into Mexico and don’t even bother to get a visa of any kind. These changes have been around for a long time. Mexico is a very inexpensive place to visit and work, yet most Americans I meet seem to think “they owe us”. Normally, we delete things like this …. but it’s important to publicly identify the Don Juan … aka Mohamad Hasm of dskjdf@_mail as the fine individual he is. Mohamed Hasm. LMAO. That explains everything we need to know. I hope we (Mexico) never, NEVER, ever, EVER lets Muslims come here. Just look what they have done to France, Germany, Italy, UK, Europe, USA, etc. Once they take over, it will all be over. STAY STRONG and STAY PROUD MEXICO!!! Things are changing all of the time. This year I spent three months trying to get an appt. in Chicago to start the visa process but was unable to. I went in person and she told me three times that just because I completed all of the requirements did not mean I would get a visa. It would all depends on a personal interview with her. She had no time to talk to me, all appts. had to be made online but she wouldn’t respond to my emails. She didn’t have time to talk to me on the phone. Then she finally made me one but then cancelled it without my knowledge. What an ugly response from the Chicago Consulate. They’re officially on the “Band Consulate” list now. Nice to see Mexicans finally understanding what Americans have been dealing with for decades. Cudos. Those economic migrants can certainly put a strain on the economy. P.S. You might want to delete Don Juan’s email since, when leaving a reply, it states that your email will never be made public. This could leave what you did actionable in a court of law. Interesting. The no-publishing email addresses is a WordPress policy that we’ve never seen as site owners. Thanks! … I have corrected the reply to no longer show Mohamad’s email address. It turns out that Mohamad Hasn’s email address is bogus anyway. I have a temporal visa and want to do Airbnb for just my spare room. Do I need to go back to where I got my original visa and ask for permission to do so? I don’t mind paying taxes as I paid heavy hotel taxes where I Airbnb’ed in the States. I’m sure when I start there will be resources to tell me where and what to pay. I just want to make sure I have permission. I am a guest here after all. You need to convert your ordinary Residente Temporal visa into one with permission to participate in lucrative activities. (I mis named it above as con permiso de tragajo). You would go to your local INM office to do this. Thank you. Nice to know I don’t have to return to Houston to do this. Check with your INM office. For the amnesty process, do you know if you still have to initiate the process outside of Mexico? Or, what office do you go to, to begin that process of obtaining a temporary residence? I had to start in the US at the mexican consulate, 2 years ago. It wasn’t difficult but all my research indicated I would need a temporary residence for 4 years before I could get the permanent so that was my intent. I had just recently purchased a US plated vehicle from an expat who was going from TR to permanent and would not be allowed to drive a foreign plated vehicle. The vehicle was in a mexico. Once I presented my documents I was automatically granted permanent, probably because I owned a home, had a professional career and would not be a burden financially to Mexico. I was stressed because that meant I would have to deal with getting rid of the vehicle I just purchased. After explaining my case, the officer granted me temporary but thoughts my reason was not smart. He was right. In the long run, it will cost me a lot more money. Had I realized that clause that owning a home almost always gets you permanent, I would have processed differently. I now own. Mexican plated vehicle and a US plated that needs to get out if the country or be did to an expat. Lucky you – we are still on our temporary resident permits because they would not grant us permanent status right away, even though we owned two homes outright, with a guaranteed social security income, a second monthly pension, and other retirement assets besides. We found a local accountant that does our tax. It can be complicated but he does it all. You have to register your ‘business’ and usually attach it to a credit card if you want to claim deductions. All purchases have to be made on that card or by cash if under $2000mxn. Only ‘facturas’ are deductible. You need an RFC with three letters or numbers at the end, not just the usual RFC. What are the Mexican taxes, percentage-wise, on rental property? Just a ballpark figure. Depends if the apartment is furnished or unfurnished. If it is furnished, there is ALSO the 16.5% IVA for being furnished, while unfurnished apartment income is taxed at the normal income tax rates. ( So, both IVA and income tax may be owed.) Mexican income tax ranges from roughly 3% at the lowest levels to 35% at the highest levels (tiered). 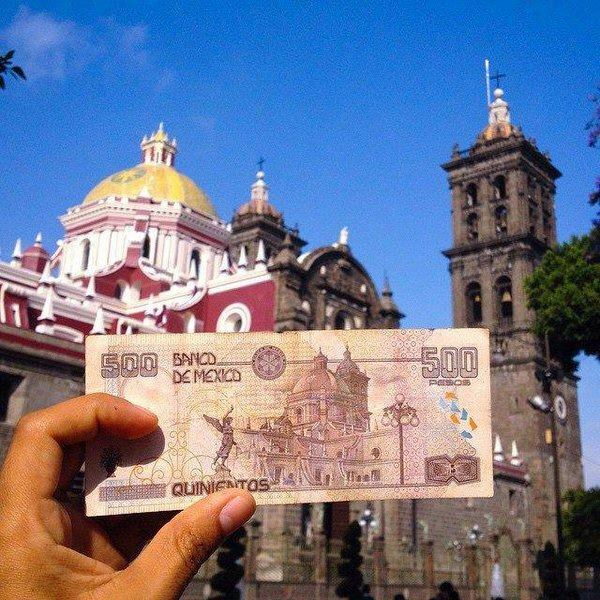 … lower than the USA until you hit about $75,000 USD in Mexican income. Just now found this April, 2017 SAT website that says: 25%. 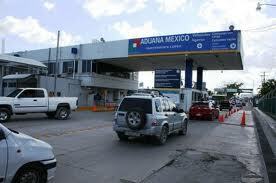 I am a TR of Mexico and I asked for no work permit because my Spanish is not good enough and I have retirement income. I have 2 years left before I can apply for permanent. Recently I purchased another home and working on selling my first house. In the meantime, I do have renters in the first house. I know INM will not just give me permanent because I asked after my first year ad they said I had To go 3 more years of temporary before I could get permanent. I am not trying to break any laws but I am hoping the house sells soon and that will be behind me. That “first hand report from a popular expat forum” sounds a bit fishy. Where was that originally posted? I have a question… I’ve decided I want to stay in Mexico. My husband and I have almost spent one year here, aside from the two trips to renew our tourist visa and visit family in Canada. We have a website that sells courses online. It’s not incorporated, it’s taxed as sole-proprietor income. Everything is registered in Canada at this point, including the bank account which our earnings are transferred to. Canada is saying we need to pay tax to Mexico, because of the tax treaty and we have spent more than 183 days in Mexico. I have no problem paying tax to Mexico but I’m not allowed to earn money in Mexico. I spoke with an immigration advisor in Mexico and she said there’s no reason for me to pay tax to Mexico because everything is based in Canada. I’m not really earning money in Mexico… I am physically in Mexico and working on my computer (working for myself) but I am not selling anything to anyone in Mexico, employing Mexicans or working for a Mexican company. It’s kind of like freelancing. I’m sure there are others in this position. Any advice about who to talk to or which visa I should look into applying for? I feel like I’m in the gray area of a non-tangible business located wherever the internet may take me 😉 Thanks! Excellent questions. Since your tax responsibilities are determined by the Mexico-Canada tax treaty, the only advice you accept is from experts familiar with both the treaty and how it works (precedents). Do you trust the expertise of the Canadian who quoted the “183 day” half year limit? Is it possible that you need to have a business registered in Canada that pays the taxes? I would not trust random Mexican tax people, unless they have a lot of expertise in the Mexico-Canada tax treaty. If the Canada tax authority will not accept your payments, then you need to get out of Mexico to a Consulate, and apply for a visa that allows you to work in Mexico. The interesting thing is about the people I spoke to about the taxes was that they all initially said I should pay taxes to Mexico (because of the 183 days or more per year here), but then after explaining the banking, the domain being registered in Canada, mailing address etc. they said it was okay to continue paying taxes to Canada. I spoke to the Canada Revenue Agency, my accountant that I’ve been using for years and also an immigration accountant who does this for a living. The person I spoke with in Mexico is an immigration consultant that seems pretty reputable. Last year, I was able to play the ‘temporary tourist without a plan’ card, but this year, I’ve spent my whole year in Mexico and feel that I need to have some solid answers to move forward confidently. Speaking with the consolute, it didn’t seem very promising that I’d be able to get a working visa. I don’t have university credentials which seems to be something they require for a work visa that is not sponsored by a specific company. It would be easy for me to get a sponsorship for a work visa, but that limits me only to earn income from that particular company. Yes, it’s complicated living between the clear rules. However, I’m sure I can ask more specific questions about making it a Mexican company or doing whatever I need to do. It sounds like a few appointments with accountants, business lawyers and immigration specialists are in order. I suggest you look closely at the option of forming a Mx. Corp. The benefits are many, the downside is minimal. It has worked very well for me. I never needed to show income for my FM renewals, just a current tax return to show the business is active… very simple. I became inmigrado without ever messing with additional paperwork. I am a true home owner and have been able to buy and sell various properties thru the years. Thanks for sharing your opinion about the corporation. I have been thinking the same thing as well. Either setting-up a corporation in Mexico, Canada or even off-shore (tax haven option). This article about the “Interrogation room” and intervention in a private email account is popping up all over the Internet, with most sites pointing back here to this article. Please tell us where the original report was published! Wonder if this would have happened without the crackdowns on immigrants in US? That’s a tempting idea, but this policy has been around since 2013. Then consider that INM agents efforts to apply it have been growing & expanding every year since the 2010 Law created it and the 2012 Reglamentos laid out the residency vs visitors visas purposes & requirements. … So, as an effort that started & growing for 5 years before Trump, should we really try to blame Trump for this one? Interesting article. I’m probably a few months late asking this, but I will ask anyway: how do you go about getting a work visa if you aim to work as an English teacher for several language schools? I’ve lived in Mexico and I like the idea of going back there, but I’d effectively be a freelancer working for more than one language school plus finding private clients. I don’t think a language school would sort out a visa for me if I was only working part-time for them. You apply at a Mexican Consulate for a “Visitante visa con permiso de actividades remuneradas” or a “Residente Temporal visa con permiso de actividades remuneradas” … or for a Residente Permanente.